Food plays an essential role in human life. A regular intake of it is necessary for survival. For many, it is the main reason for going to work and making money. If food wasn’t necessary for survival, what would we spend all our time doing? Think about it. We all know what food is and how it is consumed. However, most people aren’t familiar with food being used as an art form. That’s where Digital Salad comes in. 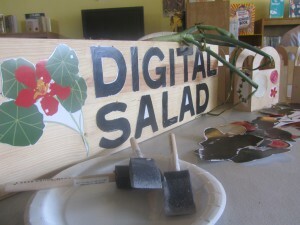 Founded in 2010, Digital Salad is a local organization that mixes fresh food, technology and art to create a valuable learning experience that brings people together and fosters community dialogue. 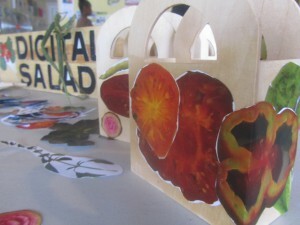 On July 5th, Digital Salad executed its first project Hive Days of Summer project. The event was certainly intriguing. Participants were invited to create a Digital Salad Box using photocopied vegetables, wooden boxes and unadulterated creativity. The boxes could be used to hold plants, utensils or other appropriate objects. The event also encouraged youth to think about what is grown locally. Digital Salad is having workshops at the Carnegie Library of Pittsburgh Pop-Up in Allentown, as well as at a summer camp with Lawrenceville United. 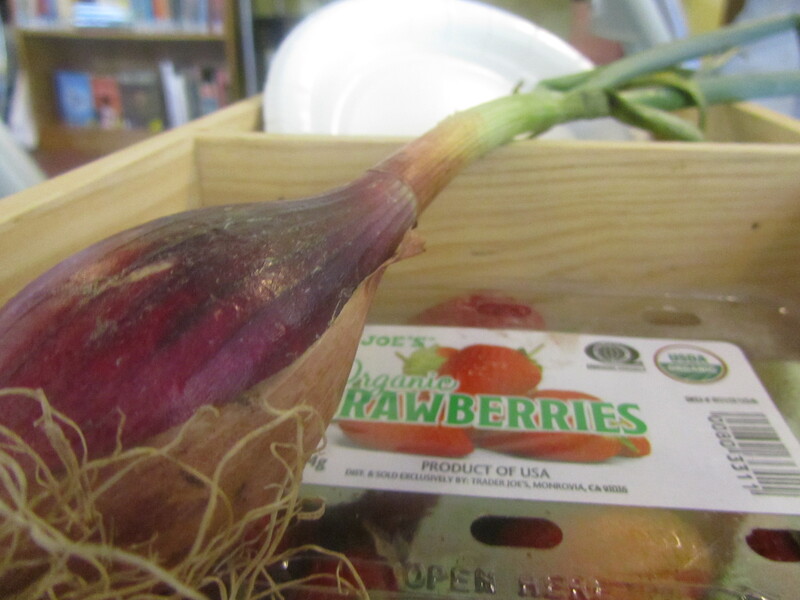 These are great opportunities to not only learn about locally grown produce, but also have a fun time doing it. For more information visit hivepgh.sproutfund.org and digitalsalad.org. A glimpse at some of the boxes that were made.